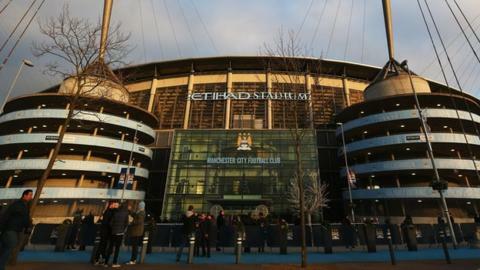 Manchester City broke the Football Association's anti-doping rules three times in less than five months, the governing body has said. The Premier League club also failed to take notice of a written warning sent three weeks before the final breach. City were fined £35,000 last month but the written reasons have now been released. A first-team player missed a test on 1 September 2016 because the hotel address provided was no longer correct. In addition, City also failed to inform the FA of an extra first-team training session on 12 July 2016, while anti-doping officials were unable to test reserve players on 7 December, 2016 because six of them had been given the day off without the FA being informed. If clubs fail to provide this information - or testers are unable to find the players they are looking for - three times in a rolling 12-month period then they are deemed to have breached the rules. The final breach on 7 December occurred despite the FA writing to City on 14 November to remind them clubs must notify the governing body if five or more players in a particular squad are given a day off from a scheduled session. They were also warned in writing after the second strike in September. City told the FA the two training-session breaches were "administrative errors" related to the club's new management team under Pep Guardiola being unfamiliar with the system. An independent regulatory commission hearing was critical of City's failure to meet their obligations and heed warnings. "It is no less concerning that in this case, despite the club being made aware of their breaches on two previous occasions [and] the resources available to the club, they failed to deal with these and implement a system to correct this," it said. The fact City accepted the charge is not a surprise. Doping is a word that attracts big headlines and they are even greater when it is attached to one of the world's leading football clubs. However, as I understand it, the three breaches of the whereabouts rule were relatively low level. Still, it is slightly embarrassing for the Blues.